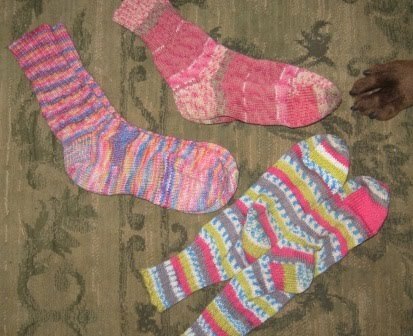 Every year around Christmas and the New Year I knit some socks for myself. 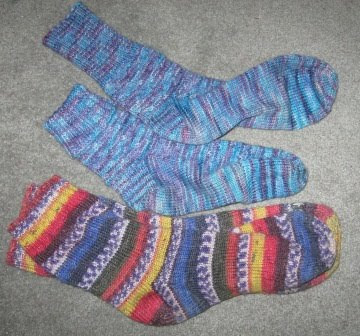 Hand knit socks are just so nice. I love all the great colours that the sock yarn come in these days. This year I have not done much on my new socks but instead I am repairing the old socks. Here is two pairs I finished last week. 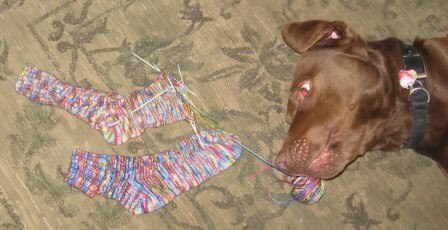 I got these three pairs of socks repaired this week. 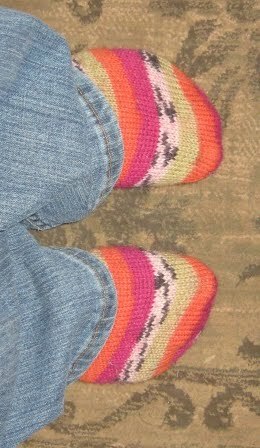 Some of the socks had just small wear spots that were going to get a hole - those I just stitched the area with a second layer of yarn. Other socks I have gotten the hole already and then I knit a new toe. I am not sure how to darn a sock and I do not want it to feel lumpy. 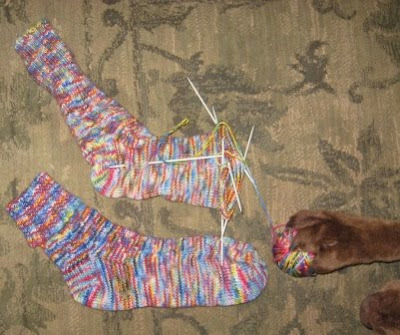 Here is my new pair of socks I am starting to knit. I have not gotten very far. The yarn is 100% wool (so may not wear well and need repair sooner) I think that it is Arctic Fleece brand, a hand dyed yarn from the east coast of Canada. I love their colours and the yarn is so soft to touch. I think I have three or four more balls of their yarn to be knit up. This is also Arctic Fleece but the one sock blew a big hole on the ball of the foot area. I am re-knitting the toe. 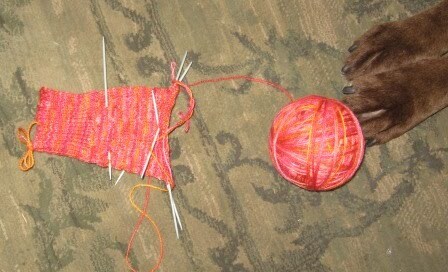 I have reinforced the toe of the other sock already. For some reason I wear out the ball of my socks all the time. Always the same spot. I have very little wear on the heals. Someone has been trying to get in on the action here. He loves balls and thinks that any thing ball shaped should be his. Darn chessy dog. These are the socks I am wearing today. Lots and lots of snow here today. A good day to stay inside and knit or quilt. Off to quilt now.